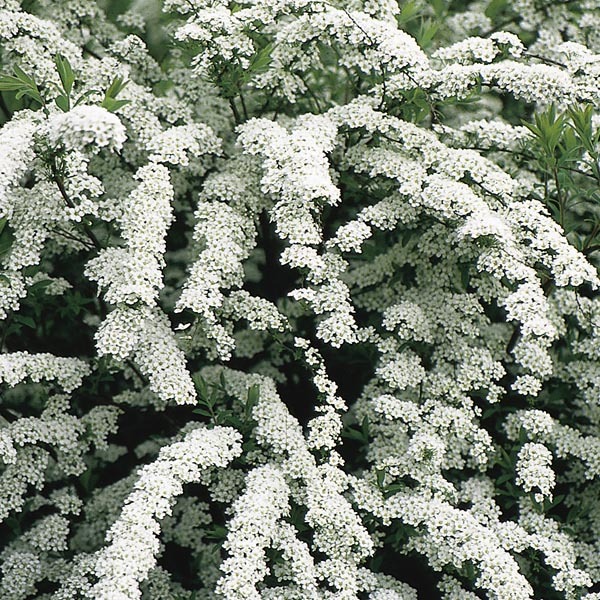 Hardy, dense deciduous shrub with arching stems. A magnificent display of white flowers appear before the leaves emerge in spring. Ideal for borders, hedges or as a specimen plant. Very easy to grow in virtually any location. Plant in a reliably sunny spot. Best in organic-rich, well-drained soil. Keep soil moist, watering freely in dry weather.